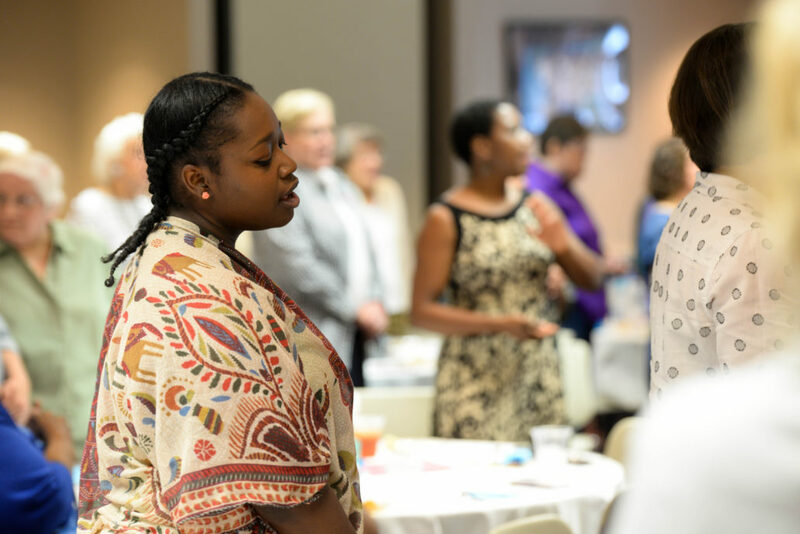 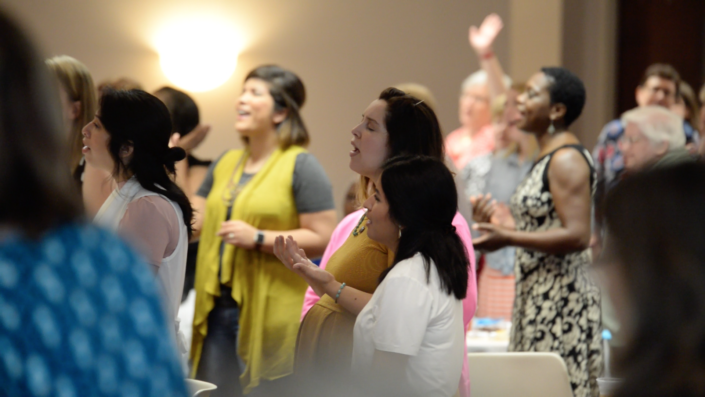 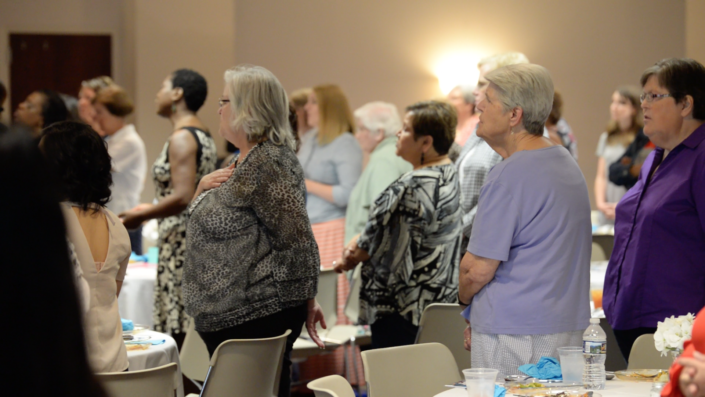 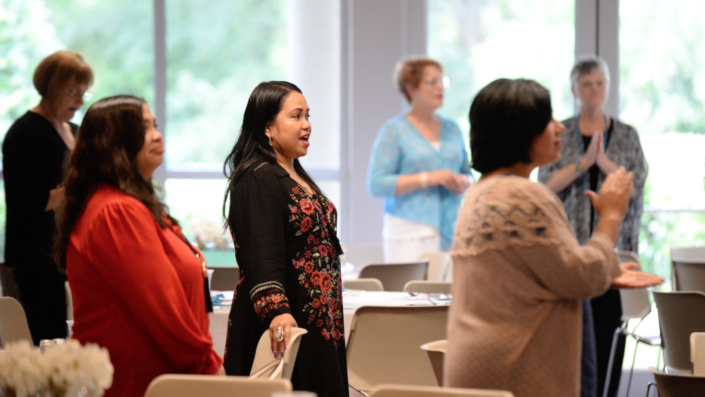 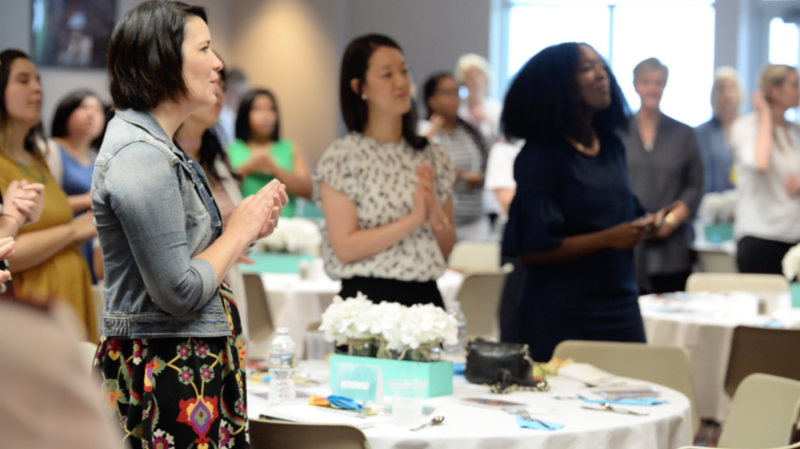 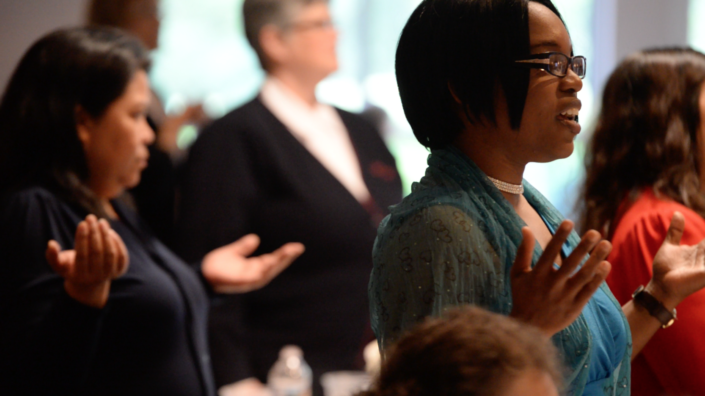 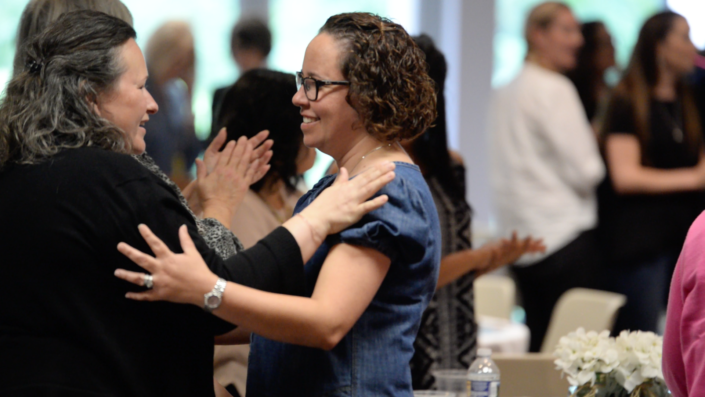 Commissioner Debi Bell, territorial president of women’s ministries, welcomed nearly 125 women to the first We Will Gathering luncheon, with a call to continue to modernize and expand the definition of women’s ministries. 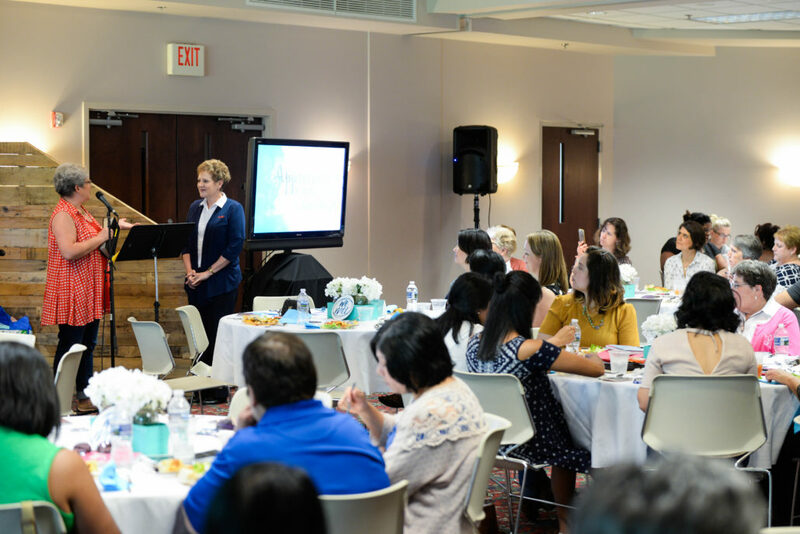 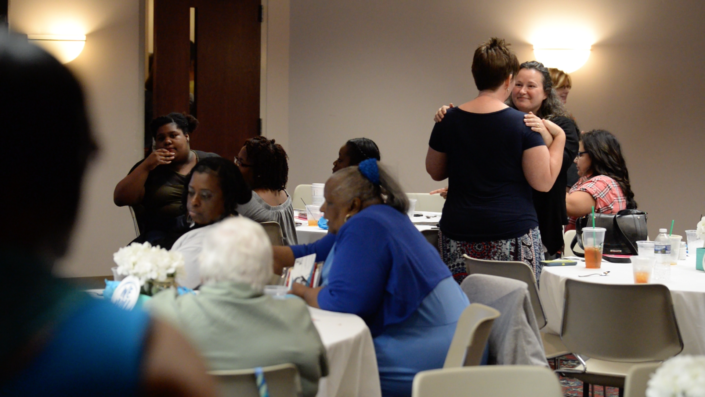 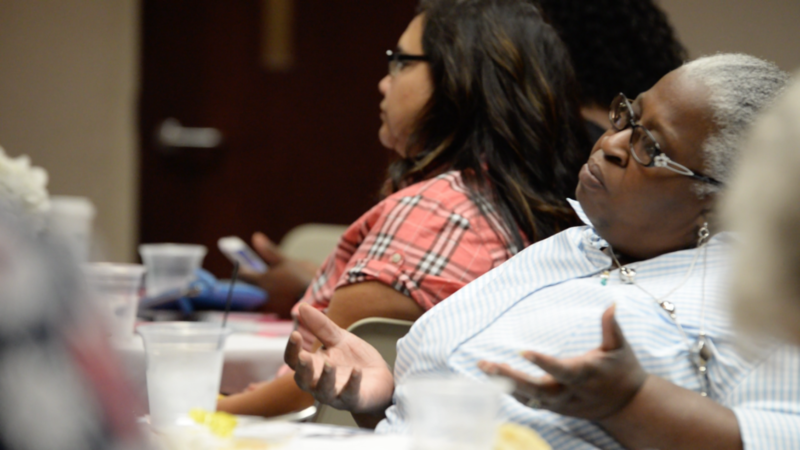 The luncheon, organized by the Territorial Women’s Ministries Department, was an opportunity for women to discuss the continued impact of last September’s We Will conference and the future of Salvation Army women’s ministry. 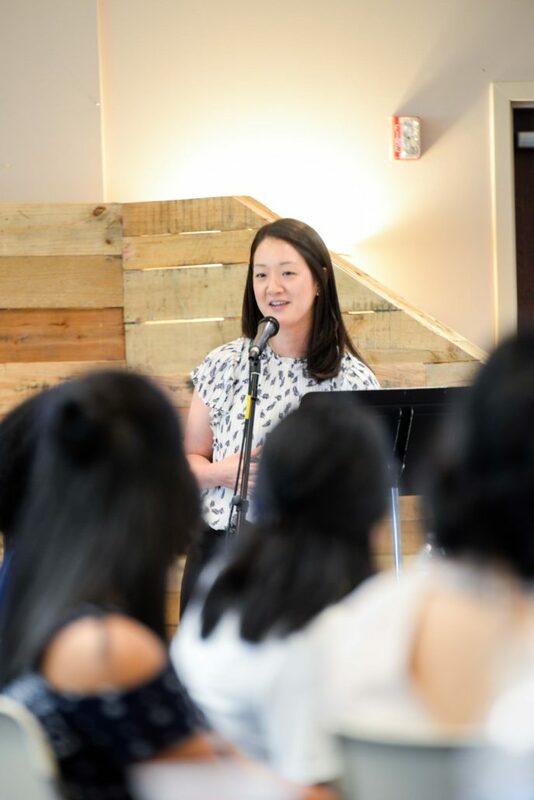 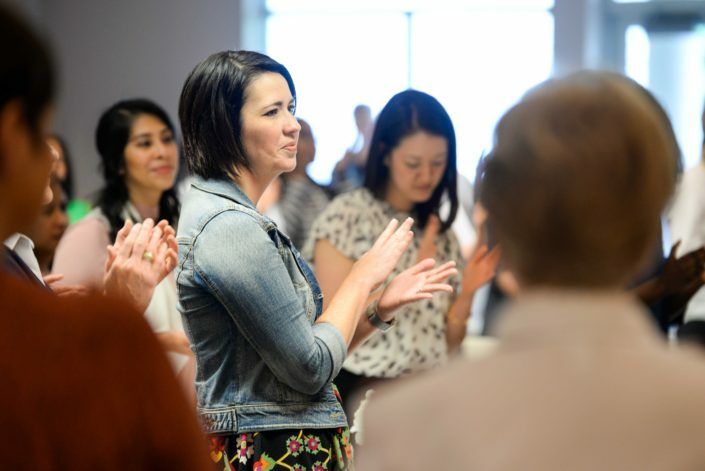 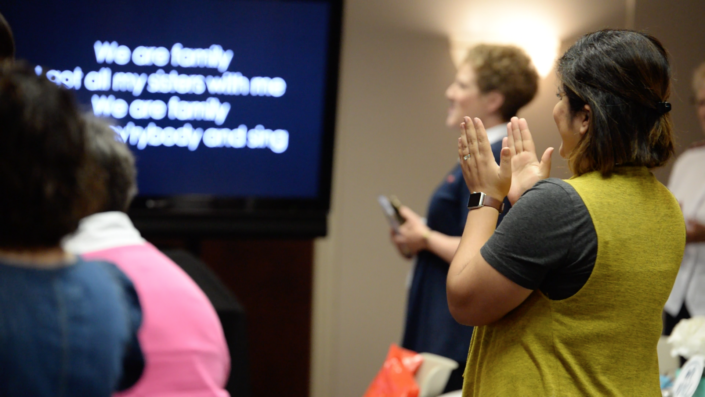 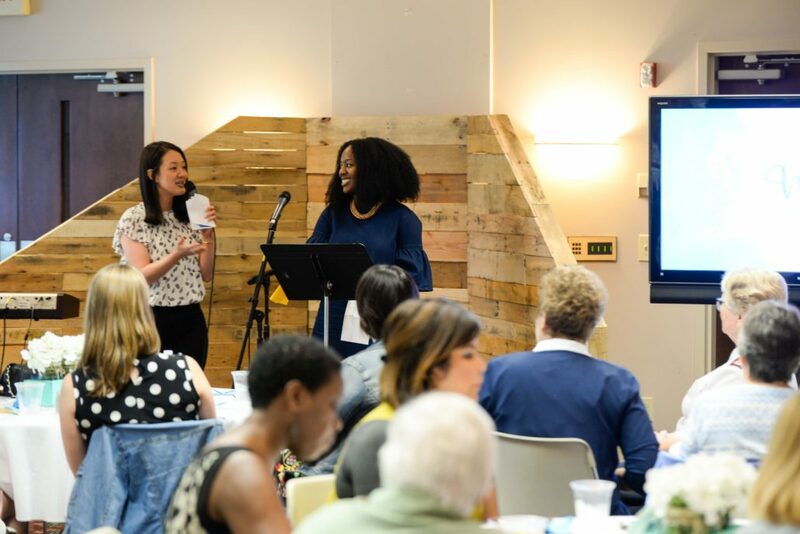 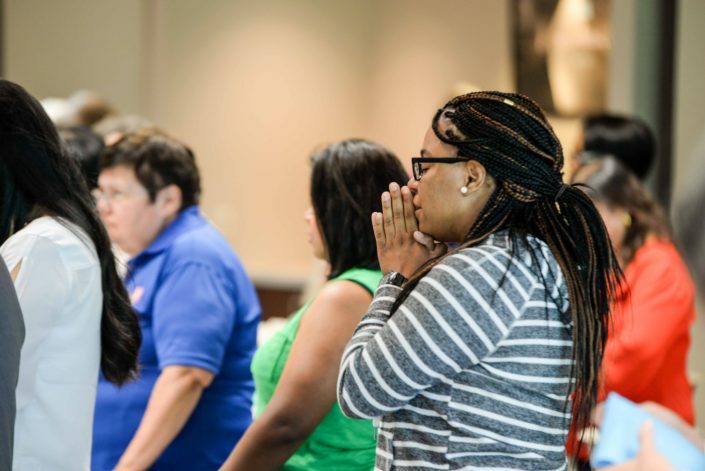 Hosts Joy Lee and Gessica Chadic, both young professional Salvationist women, embodied the future the We Will conference spoke to – one that includes a ministry led by and targeted towards young adult women. The Gathering’s praise and worship was led by Lt. Jennifer Graham, Maj. Leisa Howell and Denzell McClain and set the tone for the afternoon. 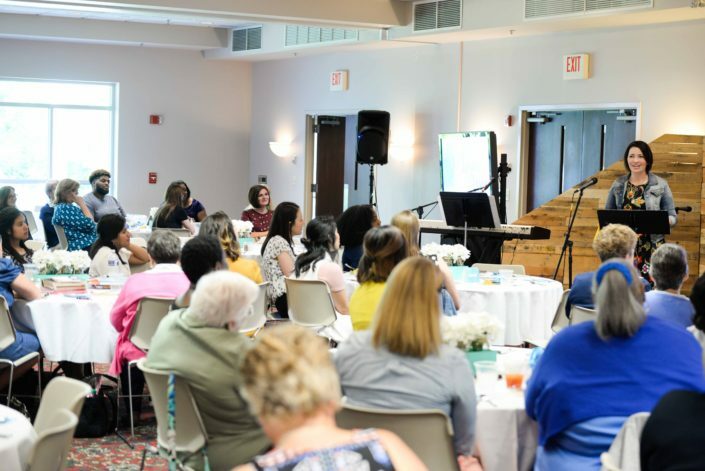 Yessica Escalante, a soldier from Gainesville, Georgia, shared a testimony about the impact the We Will conference had on her, saying that it expanded her understanding of what women’s ministries could be. 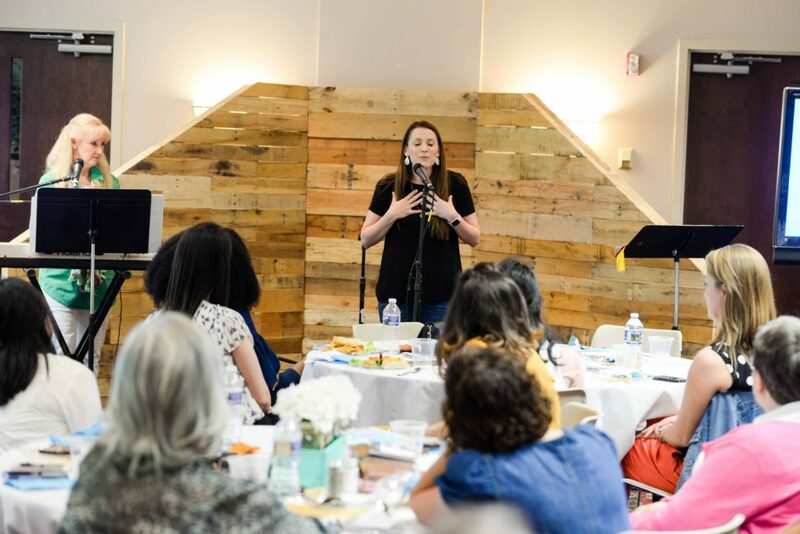 Captain Sarah Nelson spoke about how her Embrace group, formed at the conference, has remained connected via text messages of encouragement and prayer in the months since they first met. 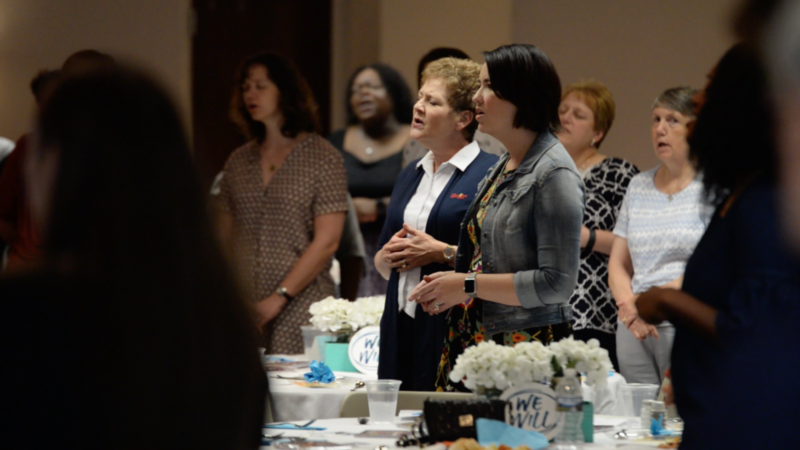 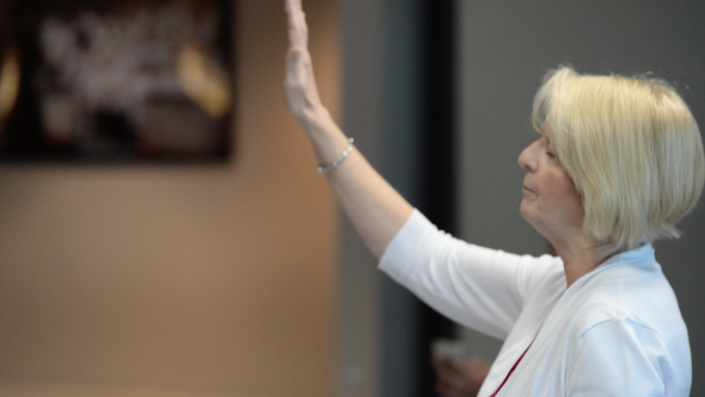 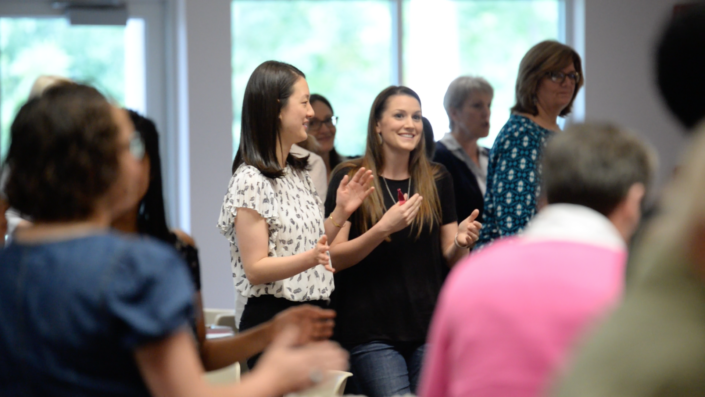 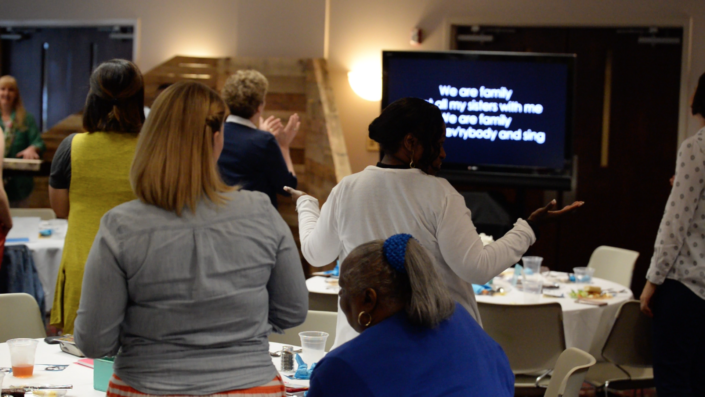 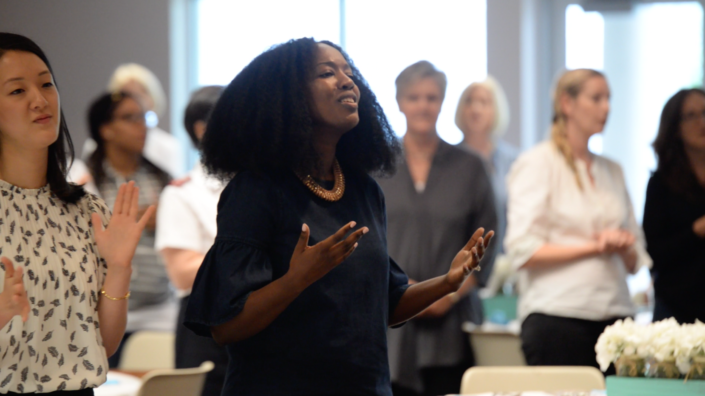 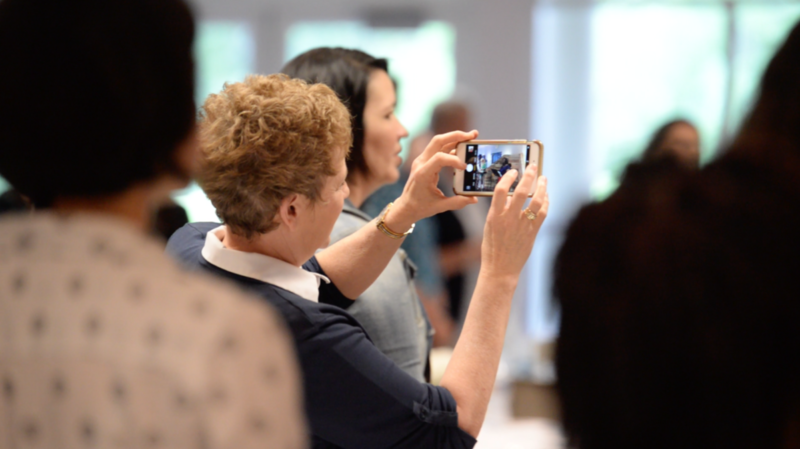 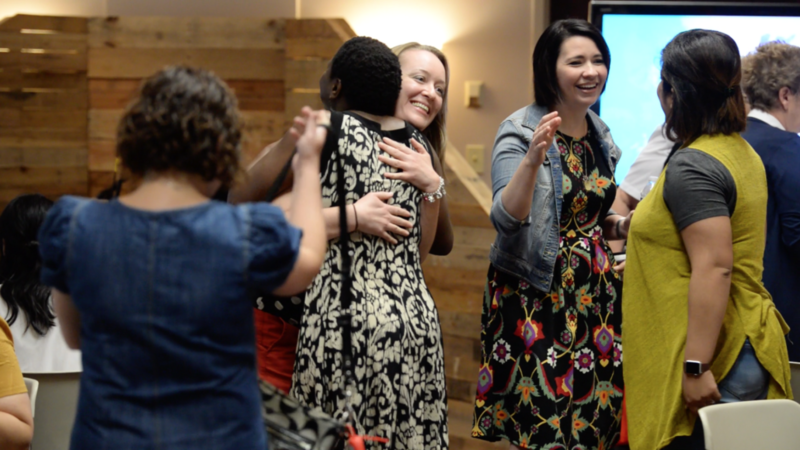 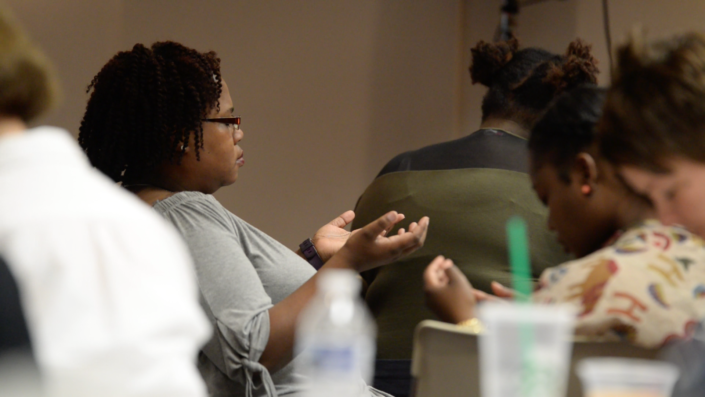 Two videos were presented, the first of which was shot at the We Will conference and included clips of women sharing their visions for the future of women in The Salvation Army. 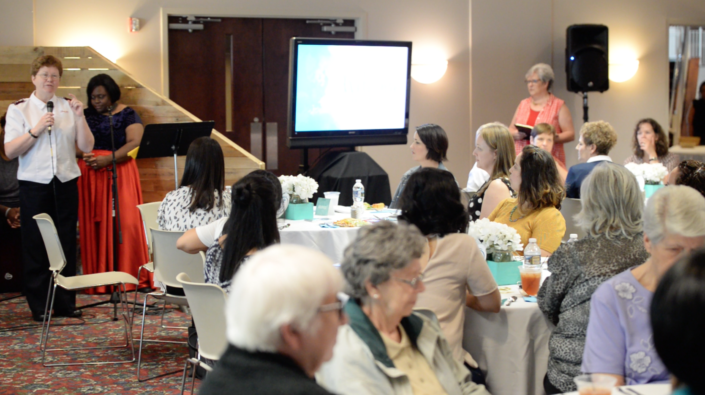 The second video, an inspiring promotional, affirmed the message that all have an equal role to play in ministry.